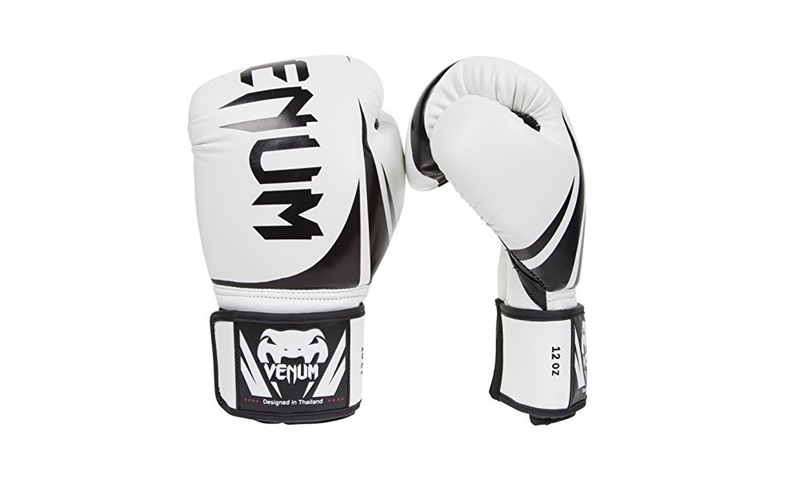 As a manufacturer of combat sports equipment, Venum has always been a top contender. 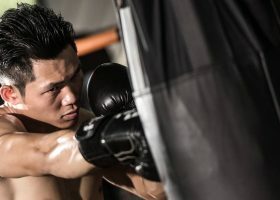 Recently bursting out on the scene alongside the rise of mixed martial arts, they have shown the innovations necessary to succeed, starting with equipment as simple yet integral as proper boxing gloves. 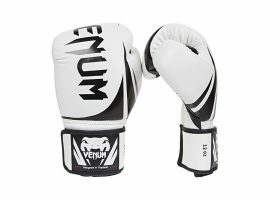 With the release of the Elite, however, Venum looks to cement their place as the actual best when it comes to combat sports equipment, in the form of incredibly-made and extremely reliable boxing gloves. The Elite is one of the best and most cost-efficient boxing gloves in Venum’s very diverse lineup. Completely handmade from the ground-up in Thailand with 100 percent leather. The Elite is designed to bring you the best fighting experience at the most affordable price and finest quality possible. 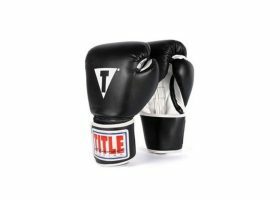 Packing a serious punch with its design and construction, the Elite is essential for boxers looking to fulfill their need for reliable and durable gloves without spending a fortune on it. Made with 100% premium Skintex leather and a unique design. Specific mesh panel systems make for incredible ventilation even under times of great duress; placed conveniently under your fist for maximum thermal regulation. Triple density foam for better cushioning, from sparring to heavy bag punching. 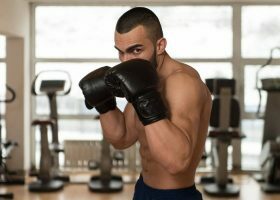 The foam works so that you are well protected from delivering blows while still maintaining a degree of comfort unparalleled with other boxing gloves. Reinforced palm area for maximum impact absorption; works doubly as a great stabilizer for even the strongest and hardest of punches. 100 percent fully attached thumb area that better protects you from thumb-related injuries while providing some degree of breathing room for your fingers as well. 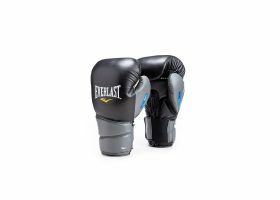 Strengthened seams melded into the ergonomic design made for a long-lasting quality and incredible boxing experience; highly durable under every circumstance possible. Large Velcro enclosure with elastic provides easier removals and applications; free from any type of complicated knots or strings. Long cuffs built-into the seams make for better and more reliable wrist protection. 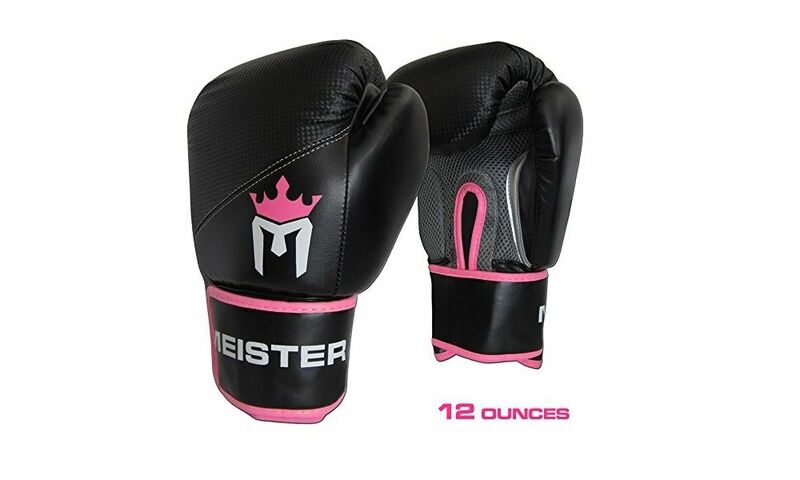 Comes in a wide variety of colors and designs; also includes specific country designs for professional boxers. Comes in a wide variety of sizes paired with Venum’s very own sizing guide. 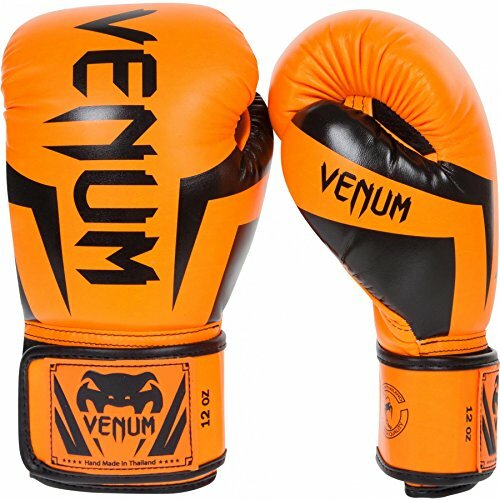 Venum’s Elite boxing gloves are fast becoming one of the leading choices of boxing gloves for boxers everywhere. This is because of the recent innovations made by Venum in their growing line of products that choose to improve the quality of functionality while still maintaining a certain and well-regarded degree of aesthetic. Venum Elite is made of 100% Skintex leather, handmade from the ground-up in Thailand. Skintex is high-grade synthetic leather that’s fully capable of holding its own when thrown in a punch. It provides a certain degree of protection and stability in its highly durable construction. 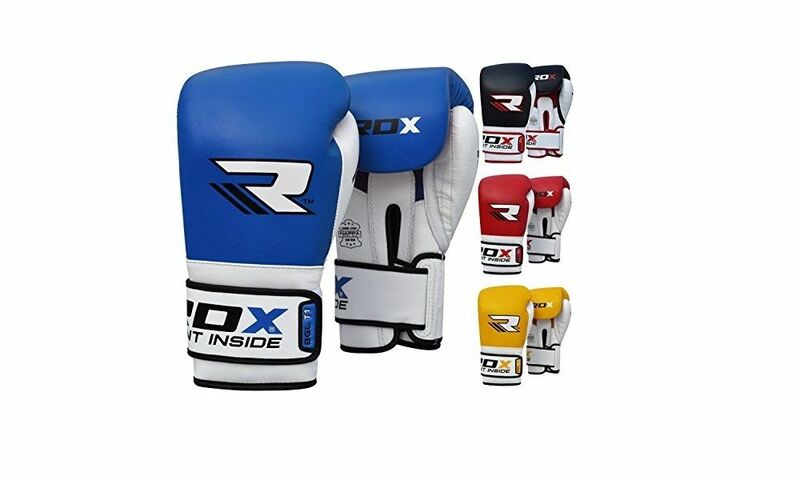 Because of the Elite’s handmade construction, it is highly durable and more attention is given to its seams, which are strengthened into the gloves’ ergonomic and functional design. The mesh panels built into the gloves make for incredible ventilation in the areas that call for them, such as the area under your fist. This allows the gloves to control your temperature within its optimal regulation. The filling is made with triple-density foam, a superior barrier acting as the main shock-absorption agent for the whole gloves. 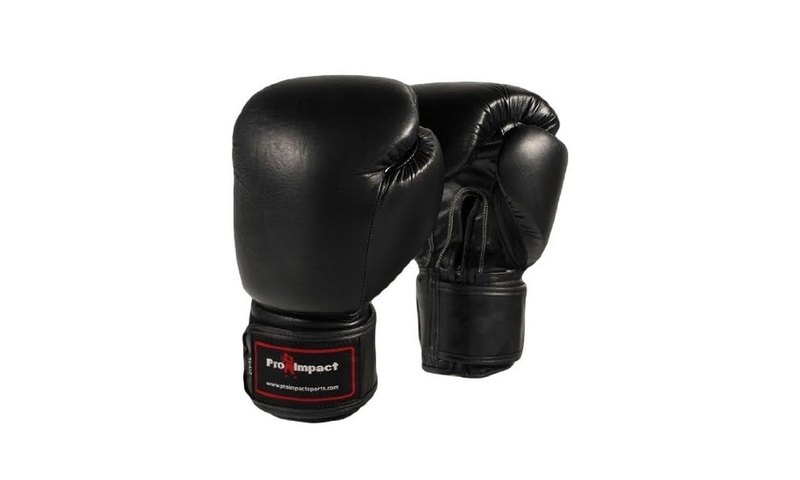 It is unrivaled in its impact distribution; mainly due to the triple-density foam acting hand-in-hand with the reinforced palm which helps protect and stabilize your punches accordingly. 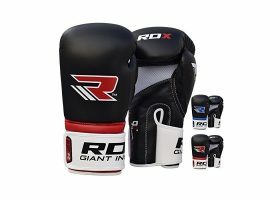 Together they turn the Elite into elite boxing gloves that can withstand the power in your punches all the while providing you with some degree of comfort while doing it. The thumb area is also fully attached to the whole glove area, which can help prevent injuries that can relate to your thumbs. All throughout the gloves, the seams are melded into Venum’s own unique glove design for incredible seam strength that is almost seamless in quality. The gloves also come with Velcro enclosures instead knots, which make removal a breeze. Lengthened cuffs also help protect your wrist better while throwing punches. All Elite gloves come in a wide variety of sizes to offer everyone the perfect fit. The worst criticisms for the Elite come due its rather poor ventilation system that needs work. The insides can get kind of hot during training, and if enough moisture gets in the inside lining could be in trouble. 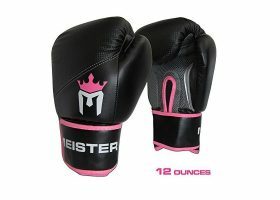 Also, because of the no-name foams used the gloves are a bit softer and therefore will tend to hurt under the heaviest and strongest of punches. Use with extreme caution if you think that you’re a hard hitter. 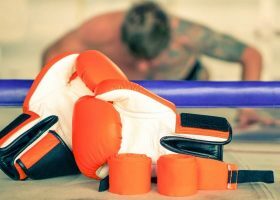 Overall, the Venum Elite Boxing Gloves do a pretty good job of holding themselves up under various stressful boxing activities. The quality in the seams is topnotch, there is great shock-absorption built into the knuckles, and the Velcro is a pretty nice touch. For a mid-range set of gloves, they do their part while maintaining great cost-efficiency.